Theater, Opera, Ballet, the performing arts that always stood beside the five main (historically) arts, inspired people to build some of the most beautiful architectural masterpieces in the world. Art has the power to change us as individuals and the world in its complexity and, in the darkest times, reminds us how much value humankind has to offer. And maybe this is why we always struggled to create the most impressive homes for it. Art is a blessing no matter where we meet it, but the theaters that host Theater plays, Opera or Ballet have the power to amplify our delight (feel free to disagree). So I made up a list with part of the theaters where I would love to see my favorite plays (and discover new ones), hope you will find them as attractive as I do. One of the oldest working arts venue in Europe, Teatru Manoel was built at the order of the Grand Master of the Medieval Catholic military order that we today know as Sovereign Military Order of Malta. 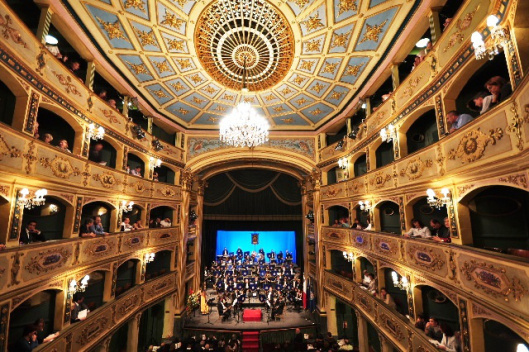 Located in Valletta, Malta, the theater opened its doors on the 19th of January 1732 and since then hosts both opera and drama plays. I’m sure that its walls “heard and saw” more conspiracy than many fictional novels. If you’re in Valletta and you plan to visit it you should know that it is closed until November 30 due to maintenance work. You can find more information by visiting teatrumanoel.com.mt. 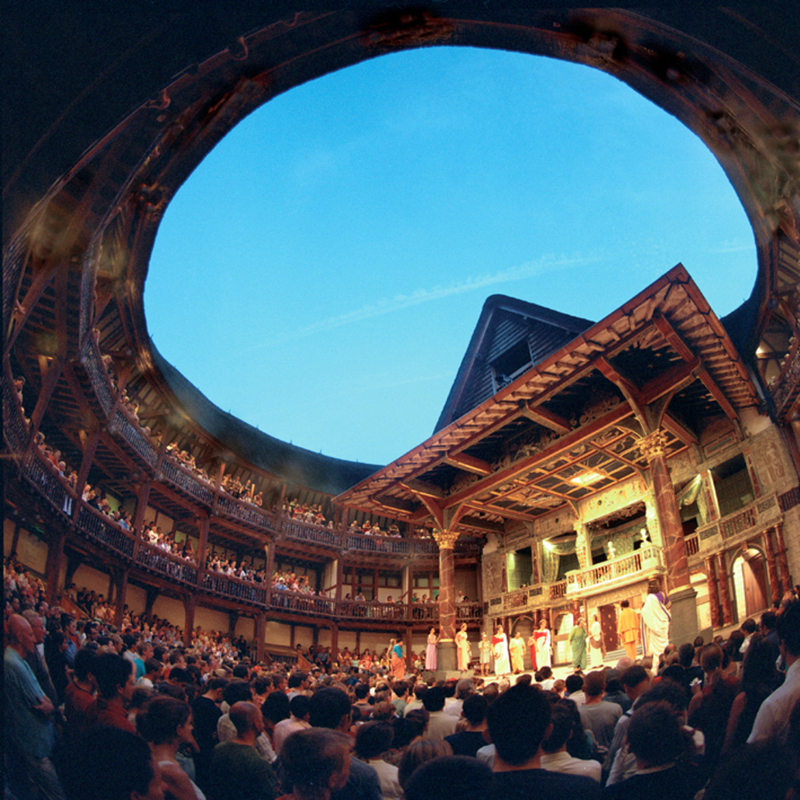 As the official website announces us, “Shakespeare’s Globe is a unique international resource dedicated to the exploration of Shakespeare’s work and the playhouse for which he wrote”. The theater Hall is a modern reconstruction of the original theater where Shakespeare’s dramas were played, built at the end of the 16th century. I find it fascinating to be able to “travel” to those days and I plan to visit it as soon as possible. 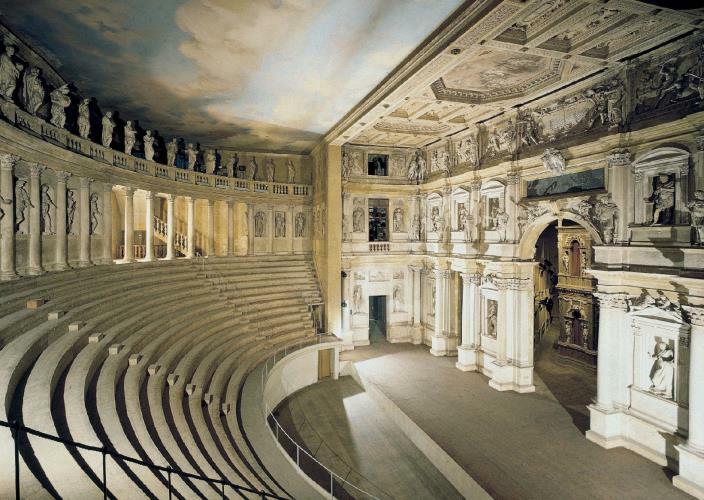 A UNESCO World Heritage Site, Teatro Olimpico from Vicenza “is the first indoor theater in masonry in the world”. It was initially designed by Andrea Palladio, one of the key figures of Renaissance architecture, and was inaugurated in March 1585. The onstage scenario is the oldest stage set still standing and one of the most beautiful things you have ever seen, picturing a great facade that hosts 3 passageways that grant access towards city streets. Inaugurated on 5 January 1875, Palais Garnier has a seating capacity of 1900 and was named “probably the most famous opera house in the world”. (link Wikipedia). 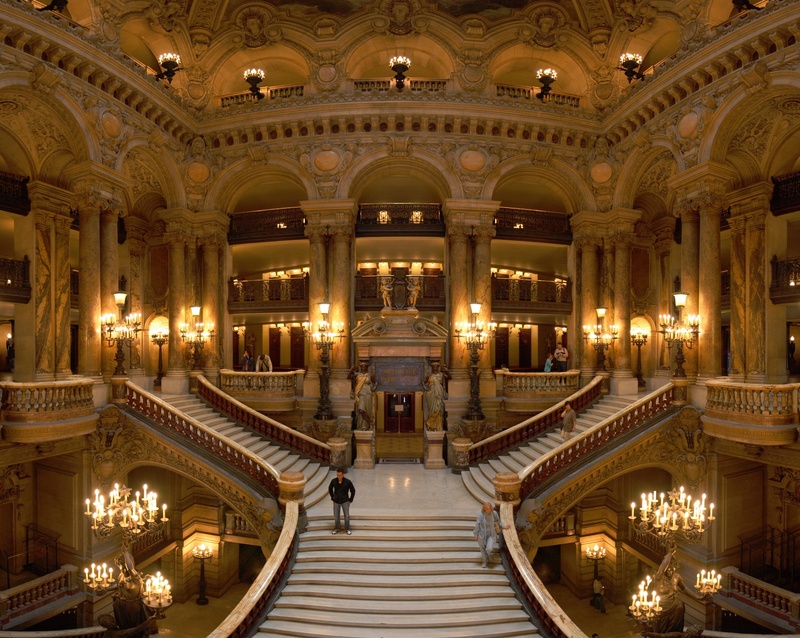 For those who haven’t had the pleasure of visiting it Paris Opera and Google Cultural Institute collaborated and provided a virtual tour using Google Street Technology. Enjoy! 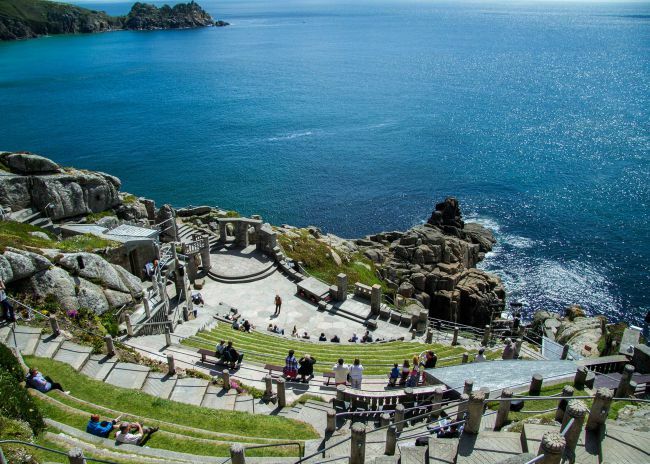 In England, Minack theater offers a view which will take your breath away: carved into granite cliffs, this +80 years old theater hosts dozens of shows each year. Situated just a few mile from Great Britain’s Westernmost point (on the mainland), Minack theater is used each year from April to September (due to weather conditions) but can be visited throughout the year. Philadelphia hosts the oldest still operating theater in the United States, founded in 1809. Over the years great artist like Audrey Hepburn, Jack Lemmon, Henry Fonda, Sidney Poitier and many more performed on its stage, helping Walnut becoming the theater company with the most season ticket owners (over 55.000). P.s. there are a few stories about the ghosts that haunt the theater, visit their FB page and read more about the subject. I’ve never been to Buenos Aires but for me, it’s one of the most fascinating cities in the world. I associate its name with culture, dance, wine, and passion. Named “the Paris of the South”, “the most European city in South America” “Manhattan in the southern hemisphere” Buenos Aires is home to one of the best Opera Houses in the world, Teatro Colon. Opened in the first decade of the 20th century the building is designed in eclecticism architectural style and has an auditorium that hosts almost 2500 seats. A must see! P.s. another “not-to-be-missed” theater hall in Buenos Aires is El Ateneo Grand Splendid, theater hall that now hosts a bookstore and welcomes over 1 million visitors a year. Click here for more photos. p.p.s. not quite a theater hall but I really hope to see a live show at “La Bombonera” as well. 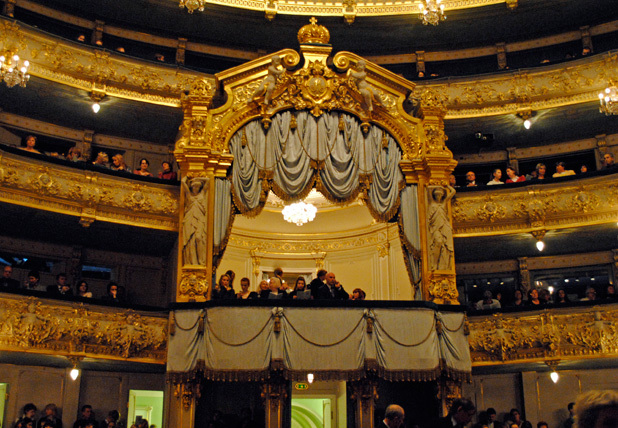 Mariinsky Teatr from Sankt Petersburg is home to not only one of the world’s greatest ballet companies in the world but also one of the world’s most famous curtain. Opened in 1860 the former imperial theater it’s the proud owner of a luxurious main curtain that embraces its stage for over a century. Watching a fabulous show from the Tzar’s box it’s something worth telling your nephews. The city that never sleeps has a district where the shows never stop. There are over 40 professional theaters (3 of which survived on Broadway attracting over 10.000.000 spectators a season. So definitely if you ever plan to visit the world a theater at a time New York’s Theater District must be on your map. For last I’ve saved the theater that hosts world’s most famous school of ballet. Bolshoi Theater, home of both Bolshoi Ballet and Bolshoi Opera, opened almost 200 years ago (50 years after Bolshoi Ballet was founded). The 2000 seat masterpiece was subject to several renovations (and one major reconstruction) in its long existence but I think it’s fair to say that it still holds the atmosphere of times when princes and princesses admired its magnificence. I hope you enjoyed our “world tour” and please let us know if you have a preferred theater that you think people should know about. And for those of you who manage a Theater (or other types of venues): here is how you can use Oveit to manage your venue, but please feel free to contact us for more info. If you are already planning your 2017 vacation, you should take into consideration a city that has multiple opportunities: sightseeing, beautiful sceneries, great food and lots of entertainment options. If you enjoy theater plays, you can book your holiday so you can attend a festival – it will be both fun and educational. Here are five of the most interesting theater festivals around the world, from Russia to India to Ireland! The Chekhov International Theater Festival was established in 1992, and in the 25 years of its history, the festival became a joyful and longed for event for all those who love theater. Their main goal is to widen the audience, making theater be longed for by the people of different backgrounds. You can already buy online tickets for some plays of the 2017 festival, including “The Twelfth Night” and “The Tempest”, by W. Shakespeare. 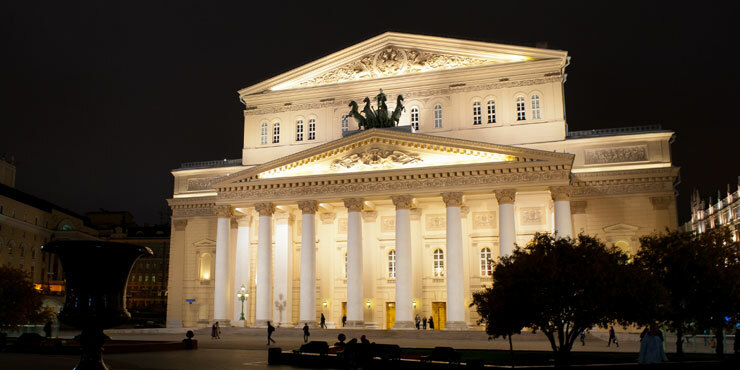 The performances are held by professionals from all over the world, and take place at all of the Moscow theaters. The Edinburgh Festival Fringe is the largest arts festival in the world and takes place every August for three weeks in Edinburgh, Scotland’s capital city. From big names in the world of entertainment to unknown artists looking to build their careers, the festival caters for everyone and includes theater, comedy, dance, physical theater, circus, cabaret, children’s shows, musicals, opera, music, spoken word, exhibitions and events. In 2016, there were 50,266 performances of 3,269 shows in 294 venues, making it the largest ever arts festival in the world. Bharat Rang Mahotsav was established a decade ago by the National School of Drama to stimulate the growth and development of theater across the country. Originally a national festival showcasing the work of the most creative theater workers in India, it has evolved to international scope, hosting theater companies from around the world, and is now the largest theater festival of Asia. Dublin Theater Festival is an annual event that brings together artists, theater-makers and audiences from Ireland and around the world. At the heart of the festival is the city of Dublin and a commitment to contributing to the vibrant social and cultural life of Ireland’s capital. In 2017, the festival will feature 18 days of world-class theater and entertainment from Ireland and abroad, from 27 September to 14 October. United Solo is the world’s largest solo theater festival, currently at its 7th season. Through a variety of one-person shows, the Festival explores and celebrates the uniqueness of the individual. The audiences can experience one-person performances from all over the world and better understand foreign cultures and traditions, see the perspective of people in various walks of life, coming from different backgrounds, speaking different languages. The world of magicians has been fascinating for both children and adults all around the world. Illusionism is known to be one of the oldest performing arts in the world and has dazzled the audience from generation to generation. Whether we are talking about the grand illusions of the 19th century, or about the spectacular shows of modern magicians, the magic shows have been around since 1845 when Jean Eugene Robert Houdin opened a magic theater in Paris. Considered by many to be the founding father of modern magic, Robert Houdin distinguished himself by the elegance and creativity of his shows and illusions. Later on, at the beginning of the 20th century, the modern art of magic recorded a new important page in its history, as renowned show-man Harry Houdini created a world-wide phenomenon. His spectacular escapes fascinated millions around the world. Soon, Houdini became an international star. He developed a new style of magic, close-up magic. This style used different small objects such as coins, playing cards, scarves and ropes. With these items, the magician performed different tricks right in front of the audience, hence taking the illusion’s effect to a next level. Throughout the 20th century, magic became more and more popular and many amateur illusionists started buying magic kits from the local department stores. Also, magic courses became available on a larger scale and the most famous was the ‘Tarbell Course in Magic’ which was an encyclopedia of magic written in eight volumes by Dr. Harlan Tarbell. As technology evolved and television became popular, the art of magic had to adapt. This led to another important moment in the history of Magic, the growth in popularity of David Copperfield. How to make the Statue of Liberty vanish? Considered by many aspiring magicians the “God” of Modern Magic, David Copperfield has amazed spectators from around the world with his impressive and original performances. You probably remember one of his best known performances: Copperfield made the Statue of Liberty vanish on live TV. Nowadays, magic has become a profitable part of show business, as there are hundreds of TV shows, events and festivals dedicated to the art of magic. Professional magicians are now part of associations and federations and here are two worth mentioning. The first is the International Brotherhood of Magicians which is the world’s largest magical organization with more than 13.000 members from 88 different countries. The other is FISM, the Federation Internationale des Societes Magiques, which is the international federation that brings together more than 95 magic societies from all over the world, representing over 50.000 magicians. Every three years, FISM organizes the most important magic event in the world, The World Championships of Magic. The most recent Championship was held in 2015 in Rimini, Italy and the next one will be held in 2018 in Busan, South Korea. Though Europe has its fair share of magic shows and events, Eastern Europe has just started adopting this new type of events. In Romania, for example, the art of magic was barely known until a few decades ago. With just a couple of magicians that were known throughout the 20th century, magic was often associated with the world of circus. However, change started in 2008 when actor and magician Andrei Teasca returned from South Korea with a new concept: The Theater of Magic. Combining the art of illusionism with theater, the new concept became widely popular in Romania. With more than 70.000 spectators and over 50 different shows in the repertoire, the Theatre of Magic became the first Romanian organization to promote Magic as an art form. Through hard work and dedication, Andrei Teasca managed to establish the Federation of Magic which eventually was accepted as full member of FISM. Founding the Harry Houdini Magic Festival, the Academy of Magic and now The Magician’s House (a place where everything is magic: bar, club, shop, shows), Andrei Teasca and his Theater of Magic continue working to develop the business side. As a result, Teasca’s disciple, Emil Dragan, became the first Romanian magician to participate at the World Championships of Magic in 2015 and his performance was appreciated at an international level. Oveit is a proud partner of the Theatre of Magic and a great tool that helps the staff organize and coordinate the events and shows, sell tickets and check in attendees at the entrance. We believe in stories. Most of our users have wonderful stories and we want to share them with the world. This way we cans shed light on those that usually go unseen: the people behind the spotlight. The CI Nottara theater was founded in 1947, right after the Second World War and it was first named “The Army Theater”. It was built by Liviu Ciulley, one of the wealthiest architects of those times, as a token of appreciation for his children, whose love for the theater could not go unnoticed. His son, Liviu Ciulei, would go on to become one of the most loved and acclaimed directors of his generation, being voted the best director at Cannes in 1965 and leading the Guthrie Theater in Minneapolis in the 1980s, when it won a Tony Award. Looking back to the times long gone, Liviu Ciulei, the director, remembers how it all happened. His father wanted him to follow in his footsteps and become a construction engineer. But he cared little for the exact sciences involved in erecting buildings. He wanted to be a director and he loved the theater. So one day, without his parents knowing, he signed up for classes at the Theater Conservatoire. He prepared a monologue from Henry the IVth, by Pirrandello. The day came when he was supposed to face his future teachers and prove he was worthy of joining the Conservatoire. The exam was held in a classroom with no public. Just the examination commission. When he was ready to start, the door opens and in comes his father, Liviu Ciulley. He asks to be allowed to watch the exam. He is granted the privilege and the exam starts. His son is terrified at first and barely remembers his lines. But he starts the monologue anyway. A bit shy at first, word by word he starts delivering one of his best performances, he remembers. The teachers loved him. That same evening the family was sitting quietly, eating dinner. His father notices: “It seams the theater thing is quite serious.” He then pauses in complete silence. The future director is terrified of the outcome but a few minutes later he sighs relieved when his father takes his decision. “I will build you a theater”. After its founding, the Army Theater, as it was named until the 1960s, lived through challenging times. Private theaters were stripped of their finances and their founders stripped of their possessions by the Communist Party. After 1948 most of the private property, including the private theaters, was nationalized and what would become the CI Nottara Theater was absorbed into the City Theater, under the management of Lucia Sturdza Bulandra. Lucia Sturdza Bulandra was an actress, a teacher, a manager and a noble descendant of Prince Ion Sturdza, Ruller of Moldavia. In an unusual choice for those times (given her noble and therefore “unhealthy” communist origin) she was invited to create and manage the City Theater. Her presence at the theater helped actors continue on their path and gradually restored the faith in this art. Though foreign plays were at first heavily censored and adapted to fit the communist agenda, culture was seen as that little drop of freedom still accessible. The people found a way to escape the isolation forced by communist party through the plays of foreign authors and notably, William Shakespeare. His influence on the cultural evolution through this times is undeniable. The Nottara Theater was no exception. Under the leadership of directors, actors and even ex ambassadors (such as Maxim Crișan, previously an ambassador to Moscow), the theater grew its repertoire. It proved to be one of the few places where the communist regime was somehow lacking the needed influence to block all thoughts of freedom and culture. When communism fell in 1989, Romania found itself in a world it did not really understand. The incoming stream of western culture was too much to comprehend in such a short time. Given the changes in the social, political and economic spectrum, the people were left rather frustrated with the new world they were trying to grasp and could not. The frustrations were felt within the theater as well. So the actors did what they could do best. They played their feelings openly so the world could see. Nottara was never empty. Its public became enamored with the actors performance as they reflected their own emotions through plays from the local and universal repertoire. We’ve met the staff in the spring of 2015 when they were focusing on renovating the lobby and the stage area. They were quite happy that they have found a way to handle all their specific needs in terms of event management and we helped with what we could. We stayed close to them and tried to understand the specific needs of these passionate people. Within a short time they were selling tickets online and we were amazed at how fast the public seemed to adopt and enjoy this new way of gaining access. On October the 30th, 2015, the Colectiv Nightclub in Bucharest caught fire. 64 people died and 147 were injured. It was the worst incident since a plane crash in the 90’s. The tragedy shook Romania to its core. It was a horrific combination of a mismanaged club, pyrotechnic effects that should not have been used and a lot more people than the club was supposed to host. As a result, the Romanian General Inspectorate for Emergency Situations conducted more than 1,000 inspections at national level, in bars, venues, clubs, cinema and theaters. Many were closed. Among these, the CI Nottara Theater, which previously received the necessary permits to conduct its activity. Now it was deemed as a seismic risk. The actors were furious. They protested the decision which they deemed unfair. By closing the venue, the government left no alternative for the actors to continue their work. They were literally out on the street. And that’s where they played their parts. Out in the street. Invited to other theaters. Performing in cultural institutes. They didn’t stop. In an unprecedented move, the staff decided they would continue to perform and innovate. They received help from the Hungarian Institute Balassi, few local theaters, a shopping mall and even the Presidency that hosted some of the shows. But the real help came from its public. Those that followed the brave theater to wherever they choose to perform that specific night. 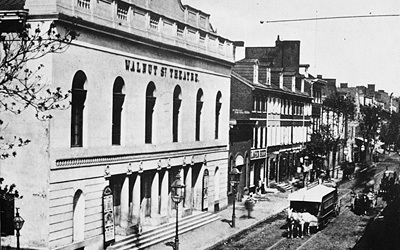 The theater’s notoriety grew from 45 to 68% in just a few months. Nottara did not fail. It blossomed through adversity. We helped with what we could. They used our app to sell their tickets online, wherever the show was hosted. They even crossed borders in the neighboring country Moldova. The Romanians there greeted the theater with their arms open and the shows were all sold out. After their trials and tribulations, the actors and staff at the CI Nottara theater had proven they are unbreakable. Destiny offered some good news after more than 140 days away from home. On the 14th of April, 2016, the staff and their friends gathered in a small club in the Old City Center and celebrated the first sign of success in their struggle. The theater announced that a seismic re-expertise was being conducted and results were optimistic. The building which was deemed unfit in the light of the Colectiv Club tragedy, was now inspected and results showed no serious seismic risk. Could CI Nottara be returning home? Yes, there are signs that the staff will restart performing within the same building Liviu Ciulley built for his son’s love of theater. But the theater never really left its home. It was there where it has always been. In the public’s heart, in the actors’ minds and souls, in the center of a city that loves its performances and its history.